If you live in the Las Vegas area, Free the Mojave Dolphins could always use another body at our protests. All ages are welcome. We are not a radical protest group. 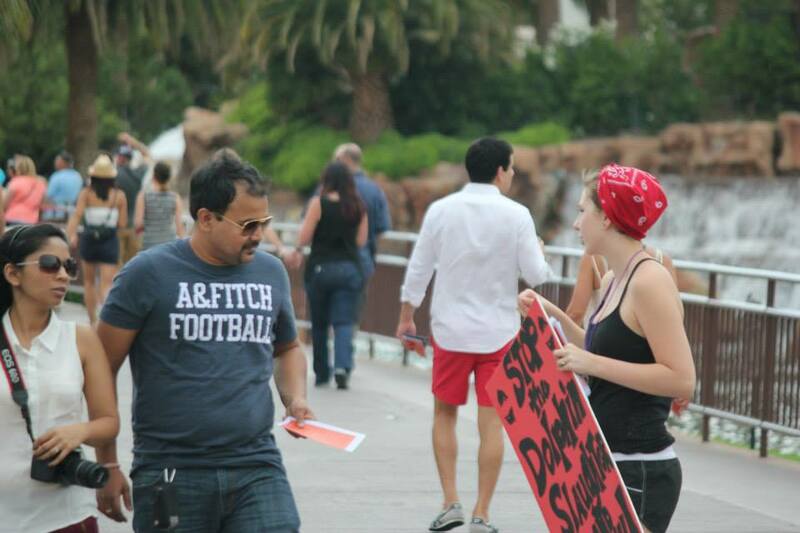 We do not scream and shout at the people walking along the strip. We do not allow any racial remarks or fighting of any kind. It is also legal to protest on the Las Vegas strip. We follow all the restrictions, so do not fear getting arrested and join us at the next event! During this time, we engage with the public, hand out educational information, and collect signatures for petitions. Everyone has a great time. Our first protest was Empty the Tanks in July 2013 and our numbers have been steadily rising ever since. We have regular participates from Las Vegas, and several out of towners who travel in from California and Utah. 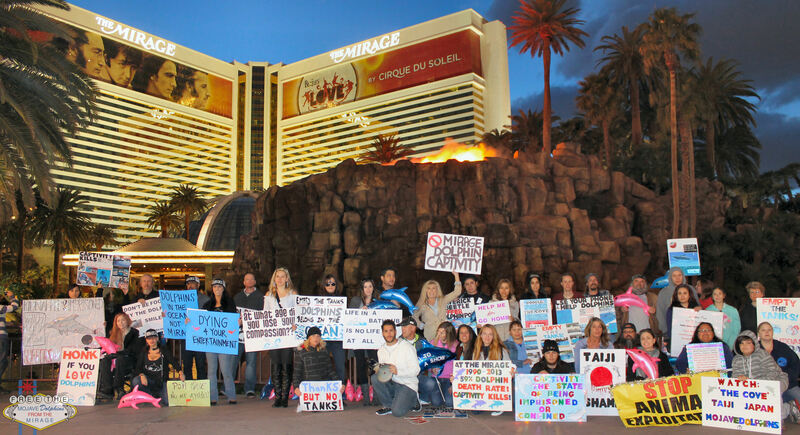 We have hosted for Las Vegas in the following global protests- Empty the Tanks 2013, Japan Dolphin Day 2013, Empty the Tanks 2014, and Japan Dolphin Day 2014.